Cul-De-Sac End unit, conversation view in back of the house and pond view in the front! Attention all Disney fans and cast member! Whether you're heading to the parks for a fun afternoon or going to work, you're just minutes from the park. Forget missing all the weekend activities Orlando has to offer and sell the lawn mower. No more mowing the lawn, trimming the hedges, painting the house or worrying about roof repairs. The HOA fees include cable, water/sewer, trash pickup, pest control and not to mention the community amenities such as the pool, beautiful clubhouse, fitness center, walking trail and playground. Located in Windermere's resort-style GATED COMMUNITY Oasis Cove. The desirable townhome-like condo features upgraded cabinets, granite, tile in entrance and kitchen area and crown molding on cabinetry. Living area leads to your outdoor living space the lanai and conservation facing greenery for extra privacy. Located close to recreation, shopping, dining, schools and major roadways. North-South orientation keeps master bedroom and living room cooler. Enjoy views of Disney's fireworks without ever leaving home. Live like your on vacation every day! 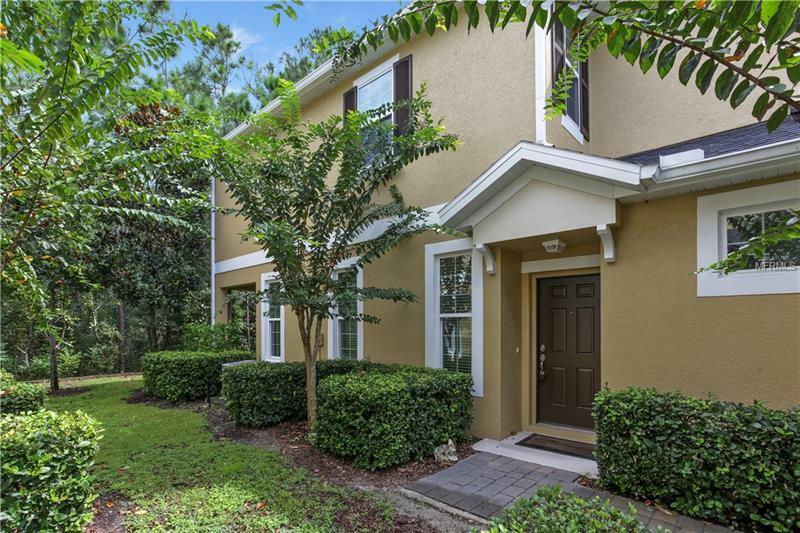 Located near new hospital in Winter Garden and in very desirable school district. Call agent today to schedule your showing, this unit will not last.